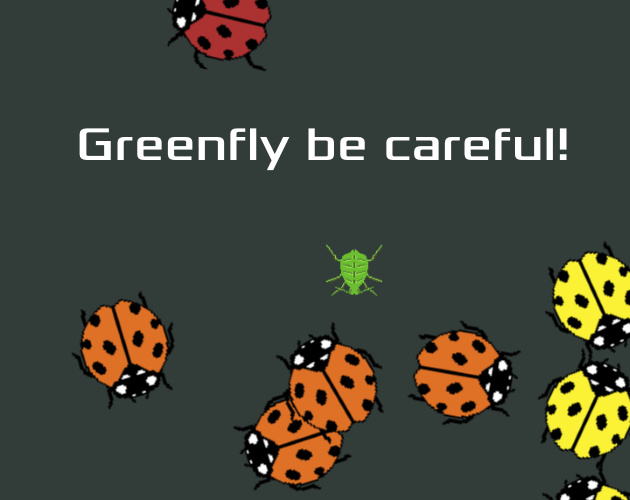 You are a greenfly. Avoid getting caught by the ladybugs, they all want to eat you. This game is based on the Your First Game (Godot Docs) tutorial. I just created other sprites after doing the tutorial.